Track is a Model, Too. So, Use the Very Best! Micro Engineering Code 83 track is good looking and accurately gauged for top-notch performance. 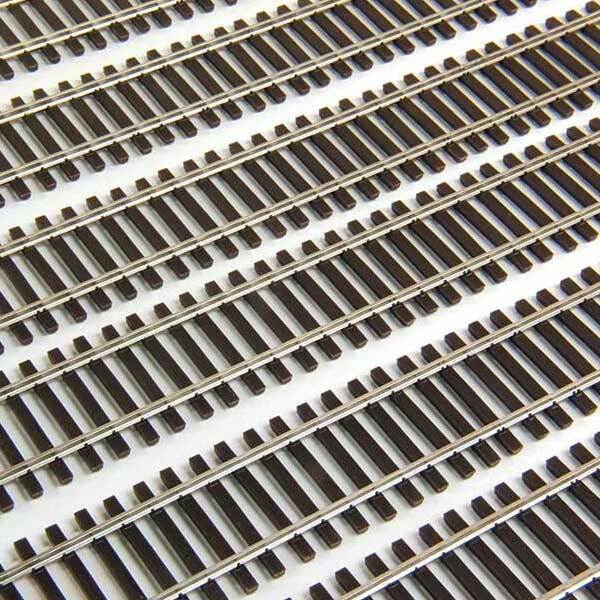 The code 83 nickel silver (non-weathered) rail has the appearance of steel and resists corrosion. Ties are molded of a tough engineering polymer in a realistic brown color and include simulated spikes and tie plates for ultimate detail. Bundle of 6 curvable 36 inch lengths. Order rail joiners separately. Precision Angle Gauge, 4-1/2 Inch Dia.